If you’re serious about results on the track, there’s no doubt you’re making a sizable investment in training, travel and all the other details that separate podium-toppers from motofill. Pro Gate Junior is the ultimate BMX practice gate, and has everything you need to train-up your BMX gate start for maximum warp down the first straight. 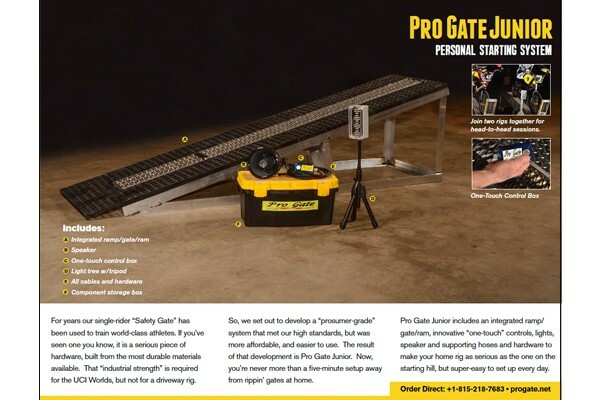 We built Pro Gate Junior to give you all the components of a real-world gate rig, at an investment that can fit most any budget.